Our gastronomy consists of typical roasted meat with ‘ajoaceite’, ‘morcillas’ (blood sausages), sausages, snails with sauce or ‘robellones’(a kind of mushrooms) and our desserts as the ‘pastissos de carabassa’, ‘rotllos d’aiguardent’ and ‘rotllos d’ou’. It is situated in the region El Mastrat, in Castellón and it is visible from the coast of Castellón. It is 1813 metres high, only surpassed by the Cerro Calderón in the interior region of Rincón de Ademuz. The south mountainside is a vertical 300 metres cliff, a perfect place to practice climbing. Alcocebre is one of the most welcoming places in the Costa de Azahar and it’s just at 30 minutes by car. Alcocebre is famous for its beautiful environment and its protected natural areas (Sierra de Irta, Prat de Cabanes). You can also find many beautiful beaches as Cala Blanca, Cala Mundina, Capicorb, platja del Carregador, Platja Romana, Playa del Moro, Les Fonts, Ribamar, Serradal, Tres Playas, Playa Tropicana. An unforgettable place at just 40 minutes by car. Its most famous beach is the ‘Playa Norte’ with 5,5 km of sand which extends from Peñíscola’s castle to Benicarló. There are other famous beaches as ‘Playa Sur’, ‘La Playa de las Viudas’, ‘playa del Pebret’ and many small bays along the ‘Sierra de Irta’. Benicassim is just at 30km by car. It offers fun activities for the whole family. Benicassim has a wide range of activities for children, leisure activities and certified beaches with blue flag. The best beaches are ‘the Almadraba’, ‘Els Terrers’, ‘Heliópolis’, ‘Torreón’ and ‘Voramar’. 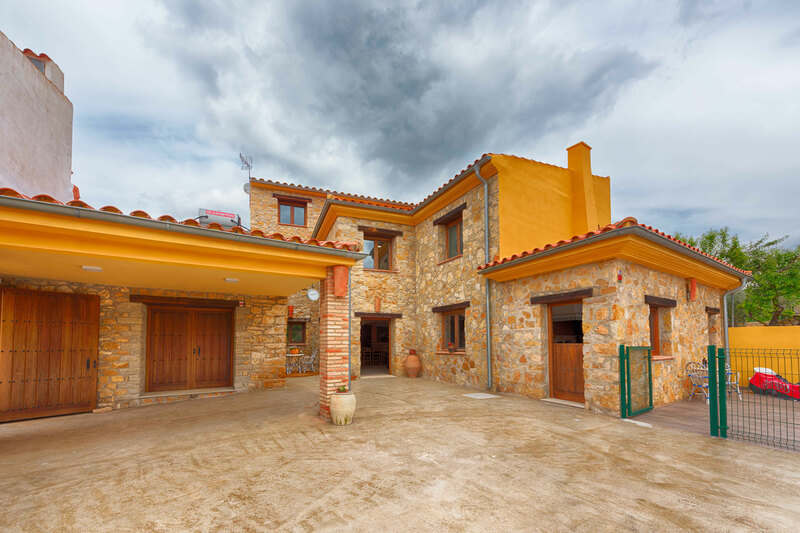 Enjoy quality rural tourism in our rural cottage in Castellón. A wonderful natural area.